Andy Clark began his career with The Canadian Press news agency, in Toronto, as a copyboy in 1970. Working his way up through the ranks he became a staff photographer in 1974, transferring to the Ottawa bureau covering Canadian federal politics on Parliament Hill. In 1978 Andy accepted a position as a staff photographer at The Hamilton Spectator newspaper but returned later that year to news agency work signing on with United Press Canada based firstly in Vancouver and then again in Ottawa. In 1985 Mr. Clark joined the newly created Reuters News Pictures operation before being offered and accepting a position as Canadian Prime Minister Brian Mulroney’s official photographer. In 1987 Andy re-joined Reuters and has been based in Brussels, Belgium, London, England, Toronto and Vancouver. Mr. Clark left Reuters after 27 years in 2014. 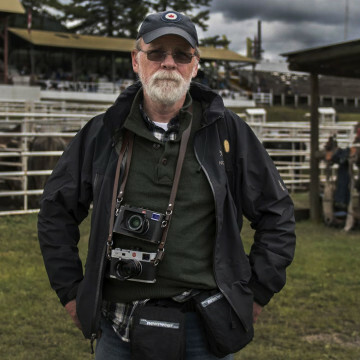 Andy has traveled extensively throughout the world covering famines, disasters, world summits, global sporting events, the first Gulf War and conflicts in the Balkans.